Discussion in 'GS Boxers' started by Burnszilla, Jul 4, 2008. 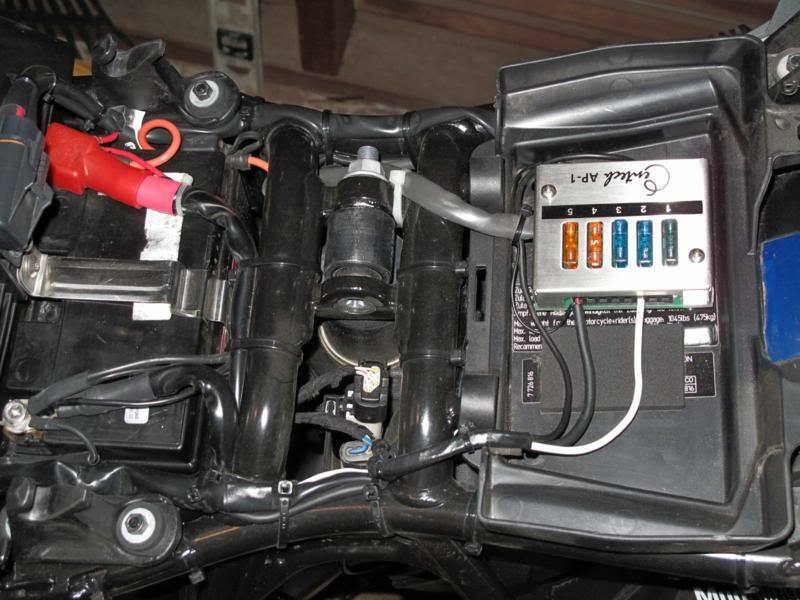 Last year I installed a Blue Seas fuse box into the tail of my GS and a few of you guys said it was a stupid idea and "you'll end up moving it some day." Well that day has come. I was looking for a smaller size fuse block that would fit under the seat where I wanted it. 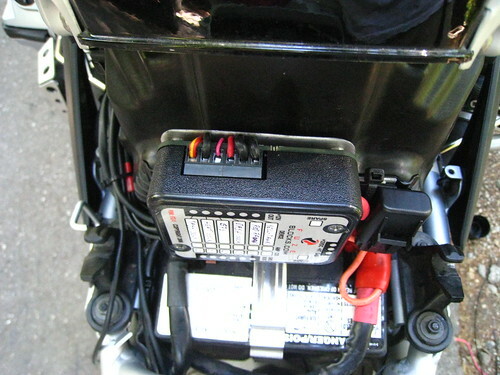 I saw the 'behind the tank fuse block' install on 1150GS and thought it could be done on the 1200, but a smaller fuse box would be needed. Along comes the http://www.burnsmoto.com/fuze-blocks-fz-1.php. 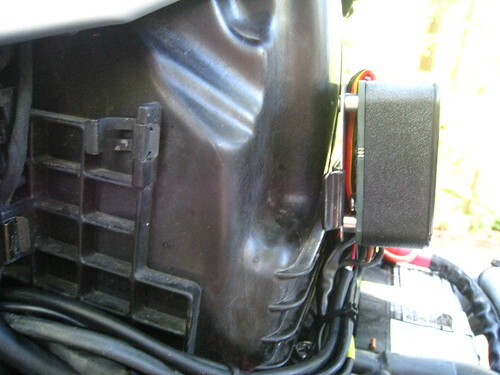 I first tested with a vertical install of the box but it hit the inside of the top of the seat. 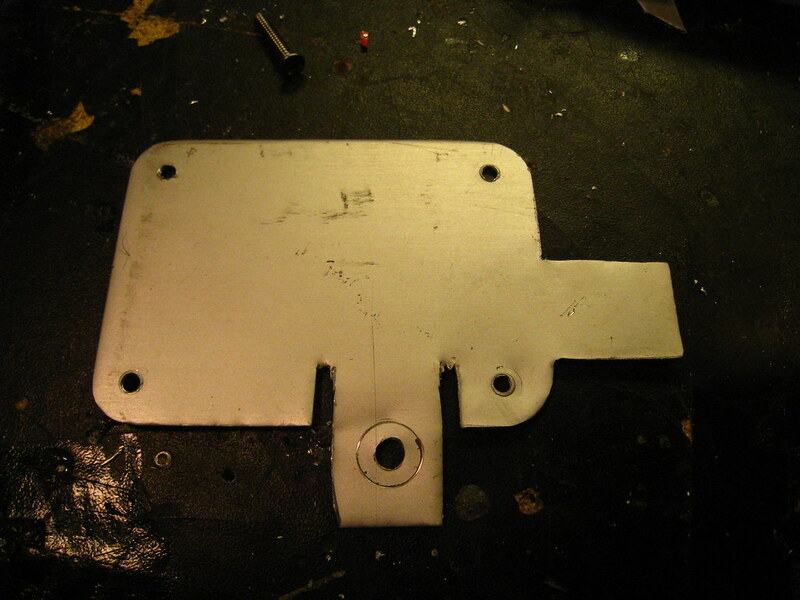 First, I cut a mounting plate out out aluminum. 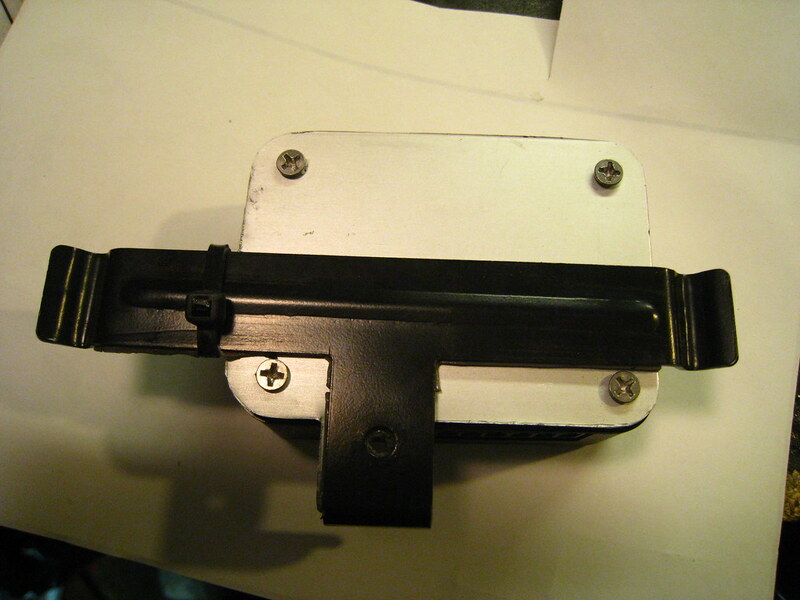 Then I mounted to the bracket with 3m 2 way tape and the mounting screw. I removed the zip tie as it was not needed. 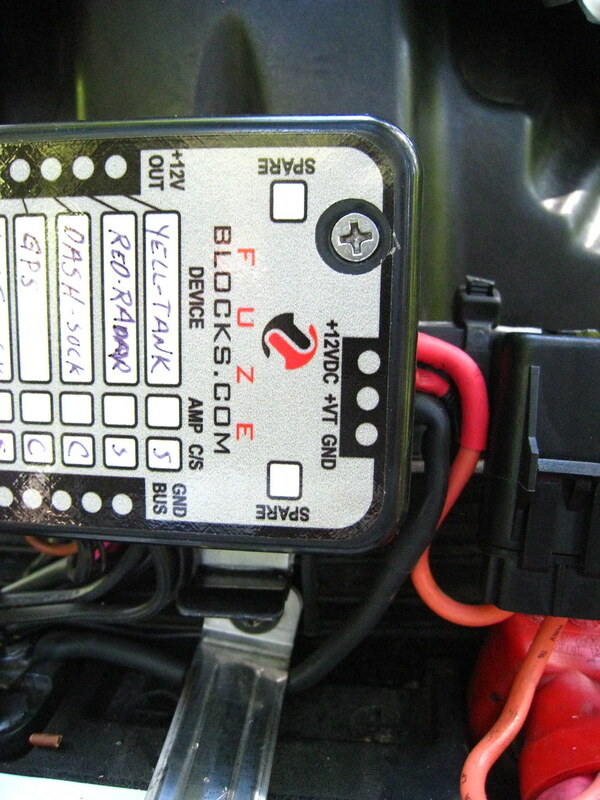 The only con of the fuzeblock is that the conacts on the back are exposed and short circuits are possible. So, I covered the solders with electric tape. That's a slick looking unit. Thanks for the pics - looks like a good improvement to you set-up. 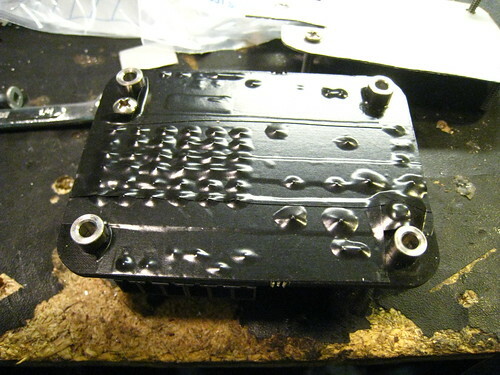 Hey Burnszilla and/or ian408, have we determinated that the fuzeblocks.com device is the current state of the art in aftermarket fuse blocks for BMW motos? In my garage and it needs electrical farkles. 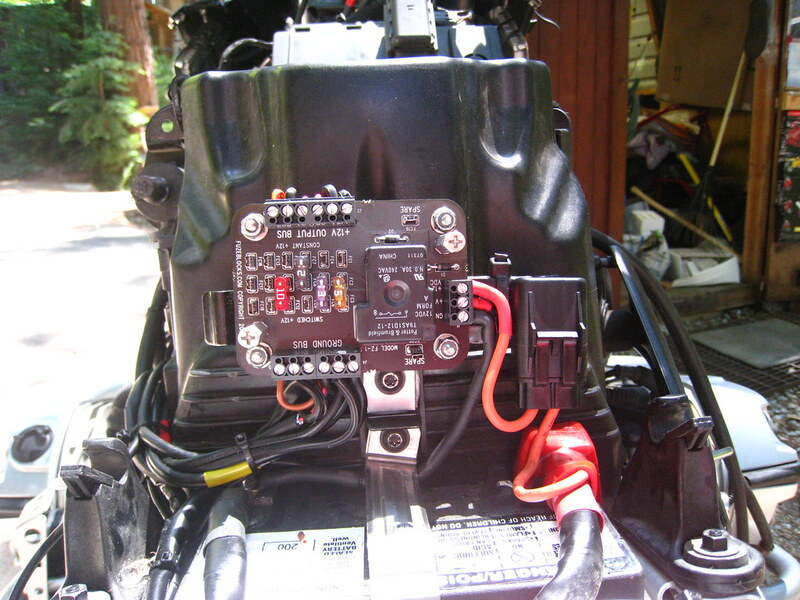 There is another thread here talking about fuse blocks for R1200's. I went with the Fuze Block and would do it again tomorrow. PS Congrats on the new addition. Are you not concerned with water rolling running right through that thing? I just installed the Eastern Beaver unit and I avoided that mounting location for that reason. I ended up installing mine in the tool tray like many others. I couldn't fit my tool roll in there anyway, so it was empty. It really isn't an issue. Guys have been doing it for years on the 1100/1150 bikes. The only thing I would do different is use liquid rubber tape on the back of the fuzebox instead of regular electrical tape. 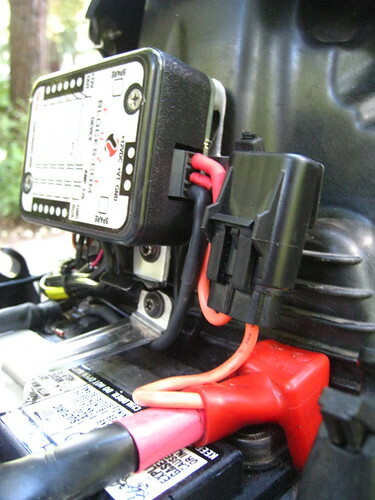 The regular electrical tape will peal off leaving a sticky mess when it gets hot. Nice install. I have a low seat on my GS so not sure it would go there. Also good idea to have that there with the rain? Have mine under the tool box. I dremeled out the top part of the tool box and much more room. Very clean. Your's was a nice install...but this guy also has a nice solution. +1. I just installed my Eastern Beaver PC-8 2 weeks ago. 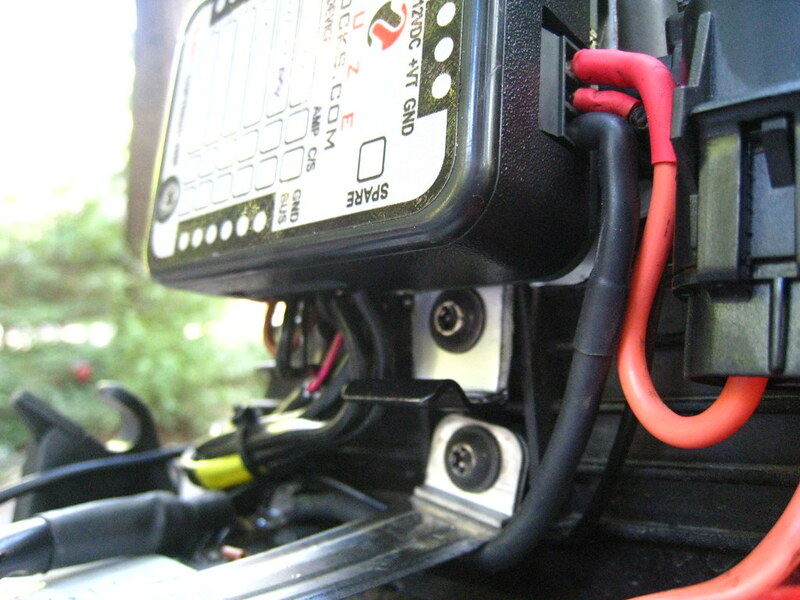 I'm not the most mechanically inclinded and it was a very easy install (in the tool tray). Yes, a nice install but I prefer mine away from the elements. Looks like a clean install. Not to criticize, but I would be very concerned about the electrical tape wearing thru. If it does, you could have big problems and not likely at a convenient time/place. I recommend insulating it from shorting with something more durable than electrical tape. The inner tube idea isn't bad. Perhaps cutting a piece of flexible teflon cutting board. Cheap and easy to find and holds up well to cutting with a knife, so should be quite resistant for your purpose. You know they have a back plate available now from Fuzeblocks? New units come with a spacer and a plastic back plate. Are these units holding up well? solder joints ? connection points ? any gotchas ? tips ? i am going to install one like the authors install on the back side of the tank shortly and thought I would ask. ...Blue Seas. It has been very durable over the last 18+ months or so. I put it under the seat as I thought it might be better protected there. But, it does not look in any way as cool as yours. Nice clear pic's! Had mine about 12 months no problem. I cut out the bottom of my tool tray. Only problem I had is that I used multistrand wire which would vibrate out. So I would use a single core or dip the ends in solder which I did and it works fine. Very easy to trouble shoot and the dealer can't say blah blah blah when something doesn't work as you can disconnect it all. I have over 100K miles on 2 different GSA's with the Centec unit mounted there, have been through driving rain for hours on many occasions. Not a problem, not an issue, mount there with confidence. If you are looking for a solution that has all of the wires cut to length and the nifty mounting plate already, look at Tom Dowells solution @ excelcyclewerkes.com great stuff. Thanks for bumping this thread up. It reminded me that I want to rig a little rain shield on mine. The way I have the seat mounted (up in front) means there is a larger than normal gap so I'd like to redirect the water so it can't go straight into the fuse box. 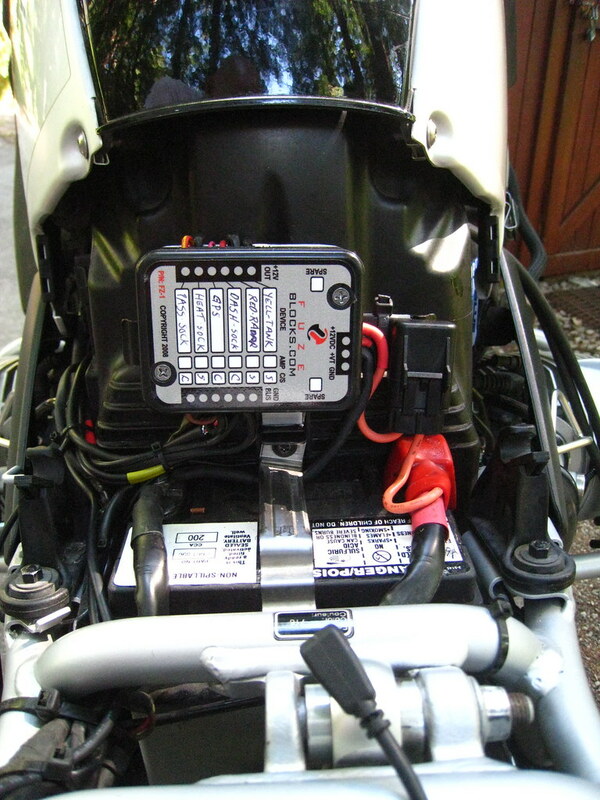 Mine is an eastern beaver until mount on the airbox wall over the battery.